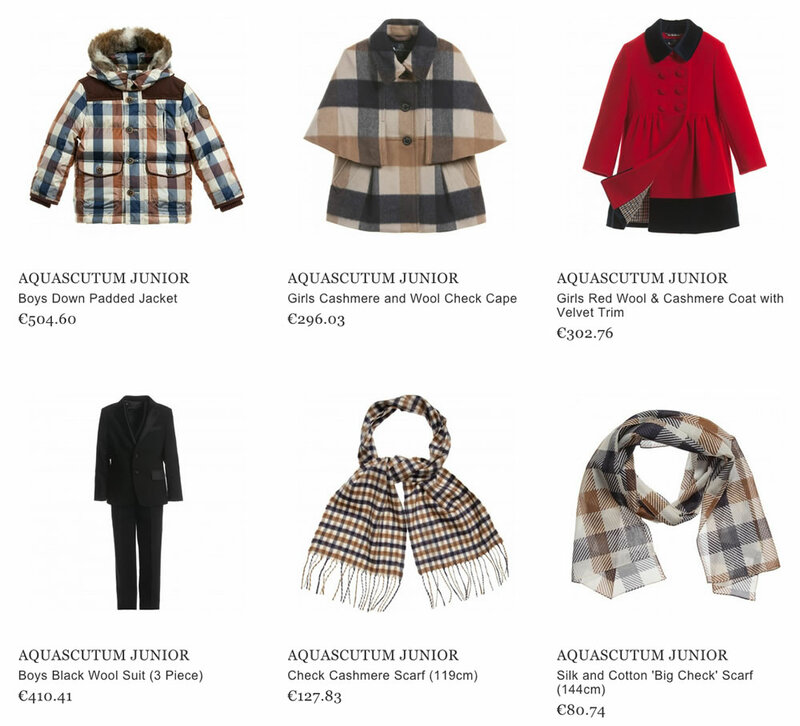 AQUASCUTUM JUNIOR is known as a British brand that was founded in 1851 by John Emary. Aquascutum is a Latin word that may be translated as “waterproof” – that assures that the clothes are made of a high quality fabric, using a specific technology. Originally the Aquastucum line was created for soldiers who were fighting during the Crimean war to help them to response the British weather. But with time it was converted and now a kids clothing label exists as well. It was firstly launched in autumn-winter 2012. The brand is believed to be one of the most practical and worth buying, which not only protects the child during rainy weather or avoids the wearability of a cloth, but also makes a child look stylish all year around. The main feature of the remarkable junior collection is the fact of using very simple checked patterns, usually combined with blue, white and brown colors. The qualified manufacturers use only natural materials, such as velvet, cotton and wool, providing a really lovely and luxurious design of the garment. The nice thing is that the Aquascutum brand may create as elegant look, as a casual one, guaranteeing comfort to infants, toddlers and children.